Home - Izurieta Fence Co.
To fulfill and exceed our promise. 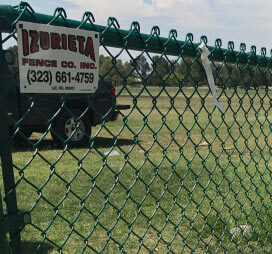 Izurieta Fence Company is dedicated to providing superior security and protection solutions to commercial and industrial properties. 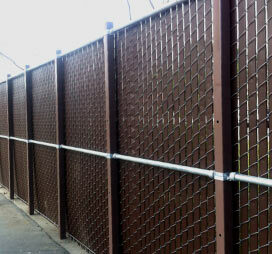 Galvanized or vinyl coated finish with an option to put barb wire, privacy slats, or windscreen. Standard or custom design. We do galvanized, hot rolled, or metalized steel. 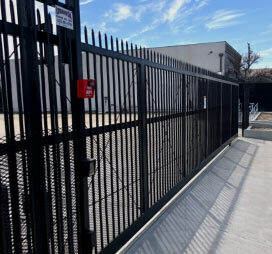 Pedestrian/drive gates, roll gates, swing gates, gate automation. Optional latch or panic bar to secure property. Low maintenance vinyl or beautiful wooden fences. We take care of it all. 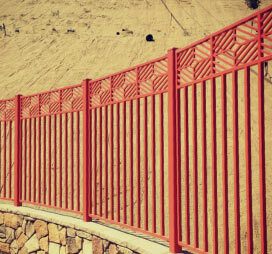 Our skilled fencing specialists treat each project with precision, care, and an uncompromising standard for excellence. Commercial fencing and industrial customers can expect superior workmanship and products that will stand the test of time. "Terrific job. Wonderful craftsmanship. Professional and reliable. Good pricing. Would recommend and use again for sure."